We offer Matterport services to all our real estate clients to give an out of this world and virtual immersive digital experience ... All to help connect cutting-edge real estate agents with home buyers! At Matterport, we love our photographers. Photographers were some of our first customers. Not only are they “early adopters” who love technology, but they are also entrepreneurial-minded, diligent, and great at discovering new opportunities. Ricky Wolff is one of these tough, hard-working photographers. Since creating TURNPRO Media in January 2016, he has captured over 100 Matterport Spaces in the Atlanta and surround areas of Georgia, since April 2017. He also recently opened an office in Birmingham, Alabama. We chatted with Ricky to hear his story and the keys to his success. In addition to TURNPRO Media, I’m a director and coach at a local soccer club. A few years ago I started using a drone for soccer analytics to see how the players moved across the field. One of my friends was a real estate agent and she noticed. On a whim, she asked me to use the drone to shoot photos and video on one of her listings. I was a little hesitant at first, but I decided to try it. After capturing the drone video, I added music and posted to Facebook. The reception was just amazing — we got a ton of likes and shares. End result was the house went under contract in 14 days and sold within 1 month. The next thing I knew, she wanted me to do this on all her listings $250,000 and up. Of course, starting a new business is risky, but her excitement really drew me in. We made an agreement for me to photograph her next 10 listings. This gave me some security to buy new equipment, establish some processes, and at least break even on my investment. How did you break through with Matterport? I admit it was tough right after I bought the camera. Demand was low. But after we got through that lull, it has been absolutely fantastic. My big break was when Coldwell Bankers of Lake Oconee contacted me. They actually found me through the Matterport Service Partner referral program. If you’re not familiar with Georgia, Lake Oconee is an upscale resort-like area with lots of golf courses, equestrian areas, etc. Homes there are very expensive and can go from $500,000 to several million. So I visited Lake Oconee and chatted with their business development and executive team. The boss was impressed with what I was doing and said, “Hey, we want you to work exclusively with us.” These guys are like real estate monsters. They sell 6 to 10 of these lake houses a year, and make loads of commission. We came to an agreement for a guaranteed amount of demand of at least $1400 per month. Turns out that their agents absolutely crushed it. We easily got $1500 to $3000 of business per month. That’s when our business really started to take off. An agreement like this really gave us stable demand upon which to establish ourselves and to grow. Right now, of those 80 agents in Coldwell Banker Lake Oconee, we work with 4 or 5 who religiously use us on every listing. These really are the high-producing agents. Sometimes they call me up with 3 houses they need photographed tomorrow. What marketing channels have brought you the most business? It really is referral-centered business. If you find the person at the center of the network (like an influencer) and convince him or her, then they open up their whole rolodex for you. Guerilla marketing has also been successful for us. Just simple things like picking up agents’ name and phone numbers off “for sale” signs we see while driving by, and then interacting with them later on Facebook. 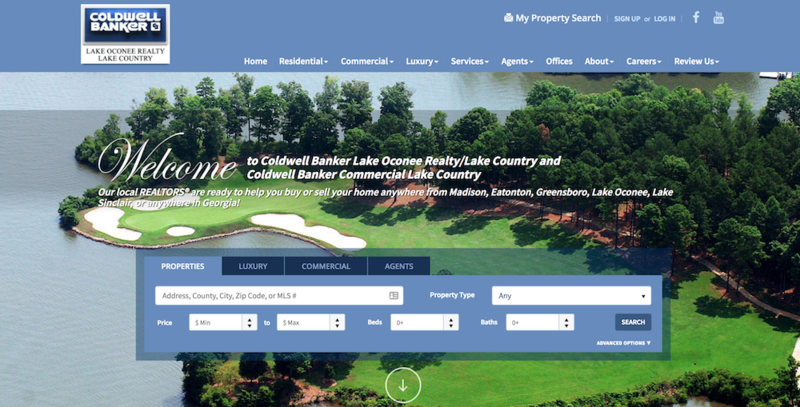 In addition, that deal with Coldwell Banker in Lake Oconee was big. That deal gave us credibility to photograph $2 to $3 million homes in Keller Williams Buckhead and Peachtree Road, the two swankiest neighborhoods in Atlanta. Finally, we’ve found that even better than telling people about 3D is to show them. We’ve had a lot of success converting people with just a simple 2 to 3 minute marketing video on what we offer. Of course, it starts with the spinning dollhouse and the Matterport tour. What’s your strategy on pricing? A year ago we took a deep look at our offering and our competition. Then we made the conscious decision to lower our pricing and go for volume — not charge people out of the wazoo. Honestly, that has been huge. Once we started thinking in terms of volume, that’s when our business really started to take off. We would rather get lots of volume so we can add those people to our database and establish a relationship. That way, we can keep them around for a long time and offer more goods and services as we grow. It’s true, we do hear sometimes that our prices are cheap — we’ll do Matterport for $99 on any house from 0 to 2500 ft². But we frame the conversation differently. Our pitch to agents is something like this: “You’re paying your photographer $75 to $100 to photograph your house. If your listing is 2500 ft² or less, then we can get it done for $99 plus photos for an extra $25.” This really helped because it is closer to what agents are already comfortable paying for pictures. Agents are like, “My gosh, for the same amount I can get photos AND a 3D tour?” That’s what seals the deal. To be honest, those luxury homes in Lake Oconee are typically by the golf course, next to the lake, or have a large plot of land. So not only do they need Matterport, but they also need aerial photography and HDR photos. They’re also just really big homes with a lot of square footage. Altogether it is about $300 to $600 (or more) depending on the house. For some people, the $99 introductory price is good enough. It gets our “foot in the door” and starts the conversation. Once people see what’s possible, they’ll usually want more deliverables and are willing to pay a little bit more. No big deal. What other real estate marketing services do you offer? 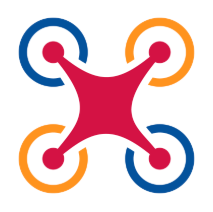 In addition to Matterport, we also offer aerial (drone) videos and HDR still photography. To be honest, there’s not many people who offer all three services. This is another thing that sets us apart at TURN PRO Media. When agents hear that we do all three, they love it. They really just want to call only one person and get them to do it all. I honestly believe that you need all three types of media to properly market a house. Aerial video is certainly impressive, but is not enough. You need to show the inside of the house with Matterport too so buyers have a complete picture of the property. Furthermore, we love the Matterport rich media. This was just HUGE for homes in the Lake Oconee area. You’ll be walking through the house in the virtual tour, get to the patio and see the little Mattertag. This will pop up YouTube with the drone video to fly out into the yard. In these big estates like these, you really need to show off the entire property. What types of clients really go for Matterport? We’ve had the most success selling our services to full-time real estate agents. These people are not just marketing the home, but also marketing themselves. That means they’re more willing to go for the complete package. They also tend to be early adopters willing to try new things. I feel like in the Atlanta, GA area the line is somewhere around $275,000. Homes listed above this rate are ideal to engage with TURN PRO Media and Matterport. Homes listed below this rate are barely willing to just take photos. In the market as it is now (summer 2018), homes move really fast. For middle-level listings like $175,000 to $275,000, the photography is laughably bad — you could take a better picture with your iPhone. But because the housing market is so hot, you barely even post it up before you start getting phone calls. Some agents don’t care — if it is over $250k then they do it. These agents understand that Matterport, aerial, etc: (1) helps them sell the house and (2) sets them apart as an agent willing to pull out all the stops. These agents know that all this high technology really brands and markets them as much as it does an individual property. Other agents are just stuck in their ways or are tight with their money. I understand. But in the long-run, I see a lot of potential in this technology for everyone. Finally, what do you see as the future of TURN PRO Media and Matterport? Good question. I still think we’re early in terms of 3D, virtual reality, etc. I personally feel like Matterport has the best overall platform, and I’ve actually looked closely at most of the other stuff. 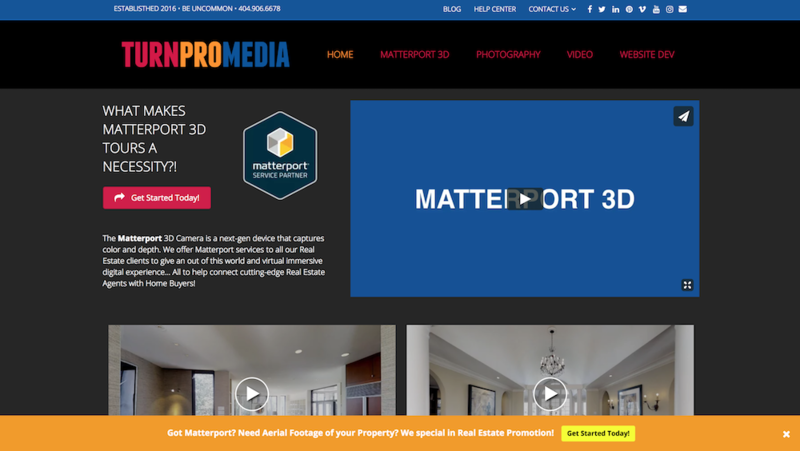 For us at TURN PRO Media, we feel like Matterport is the big-time. It’s just next-level. Pictures are boring and static. Videos are good, but they just don’t have the interactivity of Matterport. So we push our clients that way. This whole year has been ridiculous. January was great, and it just got better in February and March. April was “off-the-chain” crazy and easily our best month. While demand is leveling off now, it is still quite strong. Once the spring/summer seasonal demand starts to wear off, we look forward to expanding into other markets. For example, I’ve scanned empty homes and I want to see what’s possible with virtual staging. I’ve also seen Matterport scans of homes and buildings under construction. I’m so used to scanning beautifully staged homes that a 3D model of a messy construction site surprised me at first. Overall though, we’re just going to keep on trucking. Honestly we have been so busy working and scanning that we barely have enough time to market ourselves. Again, word-of-mouth does really well for us. It really is all about starting small and building your network with each and every new client.